It looks like this year it has been all about serums for me. In the winter I was thinking to myself that I need to get a nice, hydrating, preferably an aloe vera based serum and then it started happening on the serum front and I now have a considerable collection (see some of them here). If you have dehydrated skin, then using a serum is a must but all other skin types respond really well to a good serum as well. So I found another beautiful serum which I've been using for a few weeks and I really like it. 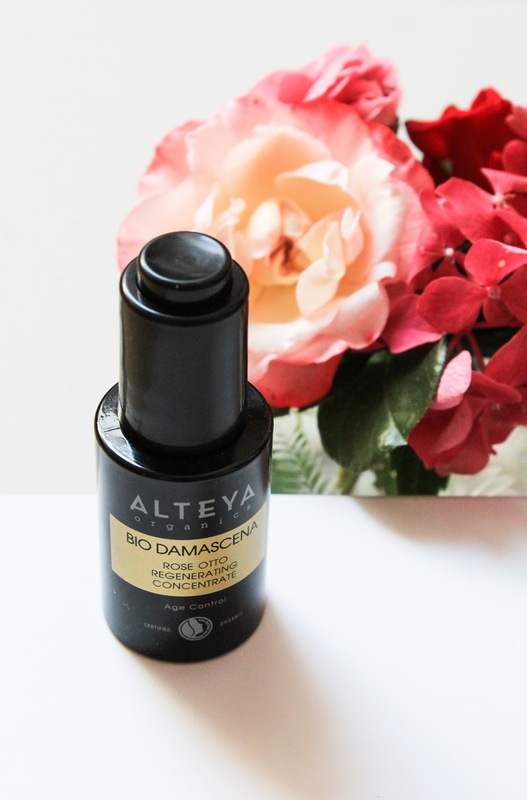 It's from Alteya Organics, a brand that was born in 1999 but growing and caring for roses has been a family tradition for over a century, since the early 1900's. Their organic rose fields, shielded by the slopes of two majestic mountain ranges, are in the heart of the Bulgarian Rose Valley, the land of Thracian Kings and home to the world’s finest flower – the Bulgarian Rose. I already love and use their 100% pure Certified Organic Bulgarian Rose Water*. It's such a beautiful product to use after I finish applying my makeup (read my review here). I'm also intrigued by their Rose Otto Facial Toner which in addition to Rose Water also contains Gylcerin, and two other ingredients. It sounds hydrating because of the Glycerin and I will have to give it a try. But now let's rather talk about the serum, the Rose Otto Regenerating Concentrate*. I was gifted this product and I'm so happy I was because I don't know if I would order it anytime soon. This serum is based on Distilled Thermal Water, Glycerin, Aloe Leaf Powder. The active ingredients in the product are Rose Otto, Mullein Flower, which protects skin from photo-oxidative stress and Marine Bio-Active Complex, which helps to fight wrinkles and sagging skin. 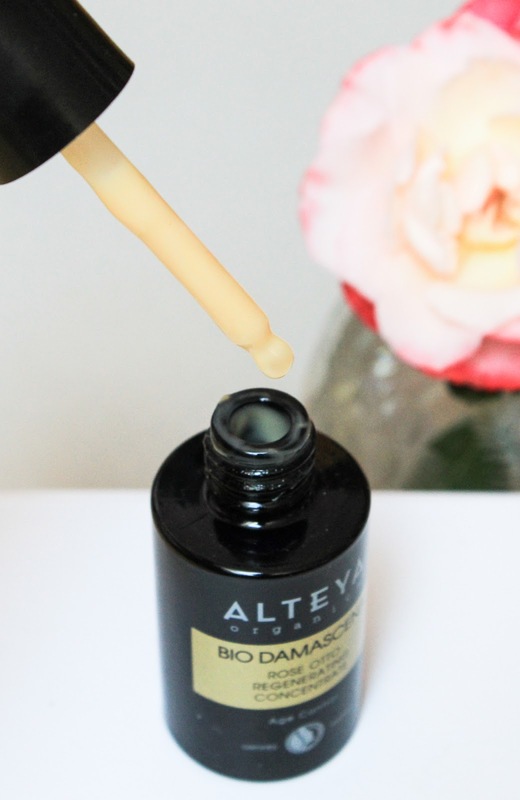 At Alteya they say that "this High-Performance Regenerating Serum deploys its youth-enhancing effectiveness, with visible results to the naked eyes, in less than 15 minutes after first use! It helps transform texture, reduce wrinkles and improve skin`s luminosity, day after day, reaching its optimum effectiveness in 30 days of use." It's so hard for me to say if this is true or not because I wasn't that attentive. I also didn't read their promises prior to using this product so I wasn't paying as much attention as I probably should. All in all I believe that products that support well-aging are best to use on a daily and for a few months to really see the difference. But after a few weeks of using it my skin indeed looks nice and properly hydrated. This product is very light, smells of Roses and is just really lovely. 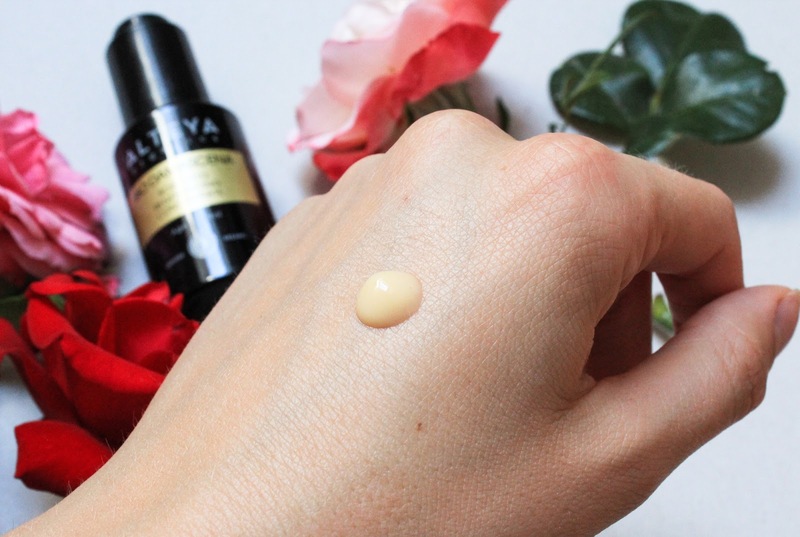 The serum glides on the skin, it is quickly absorbed and feels lightweight and yet very hydrating. Skin is softer, more plump & radiant, which is very typical when it comes to hydrating products. The serum also layers really well - I apply it after my face toner/mist and before an oil and/or cream. Rose Otto Regenerating Concentrate is a beautiful product and I really like using it. 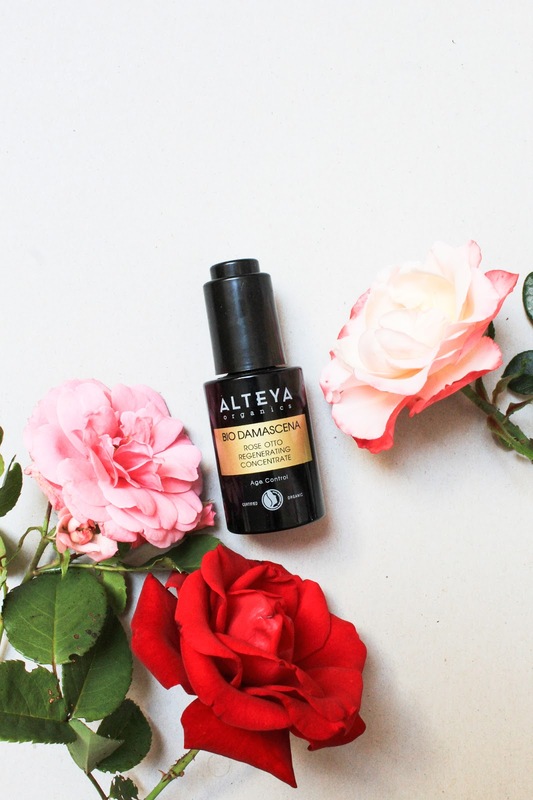 It makes me very excited to try more Alteya Organics products and that's usually how you know you found a good brand. 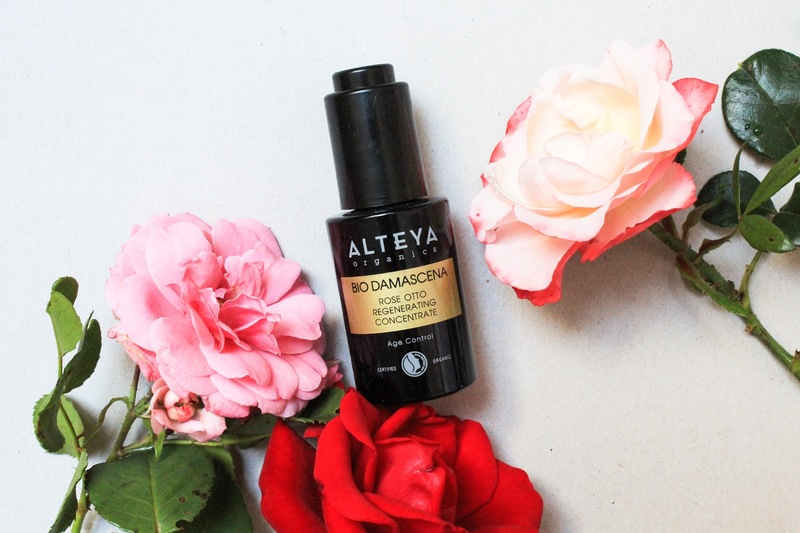 You can get the Alteya Organics Rose Otto Regenerating Concentrate here. 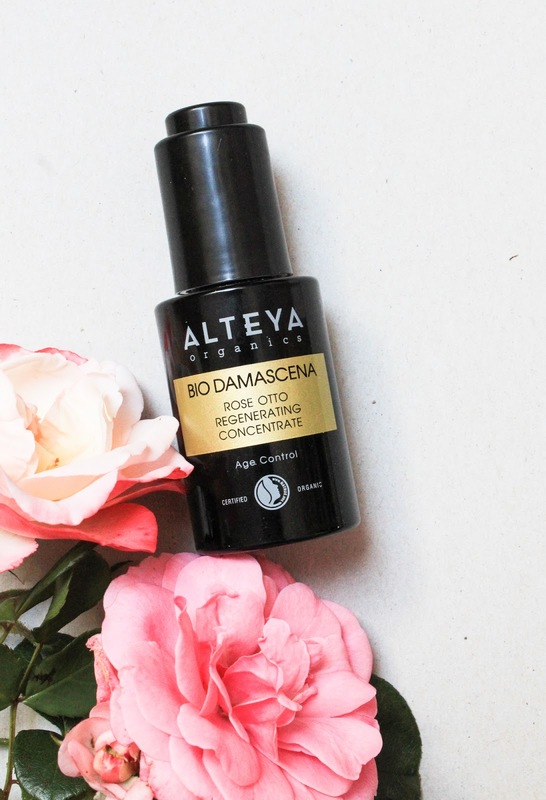 Have you tried it or any other products from Alteya Organics?